The Patient Knowledge Assessment Study (PKAS) was conducted among 107 male hemophilic patients, aged 15 to 67 years, at 19 hemophilia treatment centers (HTC). Participants were given a 30-item questionnaire concerning the cause of acquired immunodeficiency syndrome (AIDS), the groups at risk, and modes of transmission. The questionnaire included questions on the participant’s status in regard to antibody to human T-lymphotropic retrovirus, type III/lymphadenopathy-associated virus (HTLV-III/LAV), and the meaning of this test result. HTC health-care providers were asked to complete a separate questionnaire containing 17 questions about information given patients concerning their HTLV-III/LAV antibody status and its meaning. 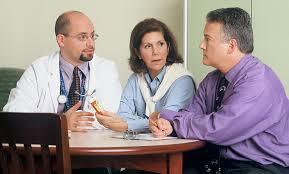 Overall, patients had a good base of knowledge about AIDS; however, there were gaps in this knowledge. Twenty-nine percent of patients did not know that spouses of AIDS patients were at risk for AIDS; 47% did not know that sexual partners of persons with hemophilia were at risk; and 32% did not know that hemophilic children were at risk. Further, only 69% understood that antibody-positive individuals had had contact with the AIDS virus. Identifying these and other areas of misunderstanding will provide the information needed to design educational strategies and psychosocial support programs appropriate for the hemophilic population, and which may serve as a model for other populations.